Generates socially acceptable responses to text messages. Real life awkward texting experiences. 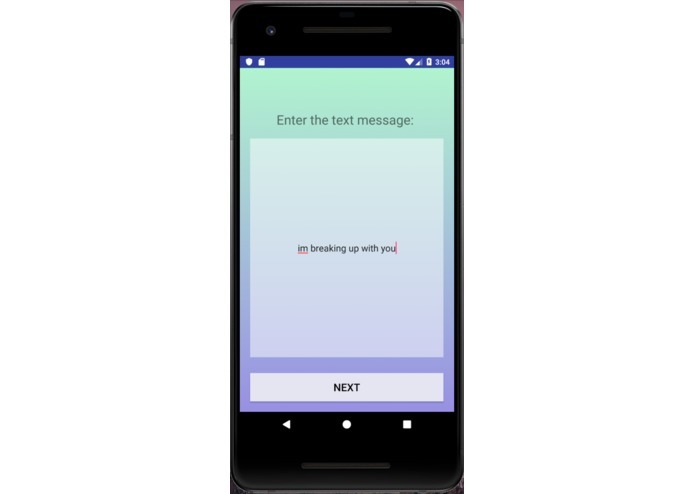 Given a message, TextCrafter analyzes and scores the text's sentiment to select appropriate responses. 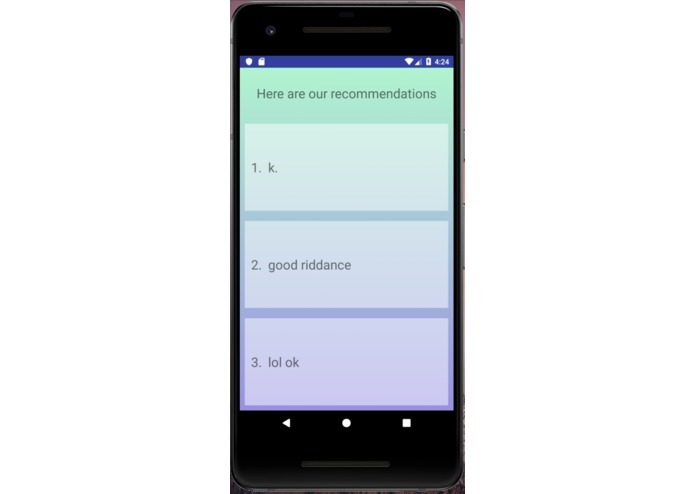 The user is presented with three recommended responses to choose from. The app was written in XML and Java through Android Studio. We also utilized the Microsoft Azure Text Analytics API to perform the sentiment analysis. All of us had very little experience with Android Studio, JSON, and using APIs. Thanks to the helpful mentors, we were able to accomplish and learn much more than we expected. 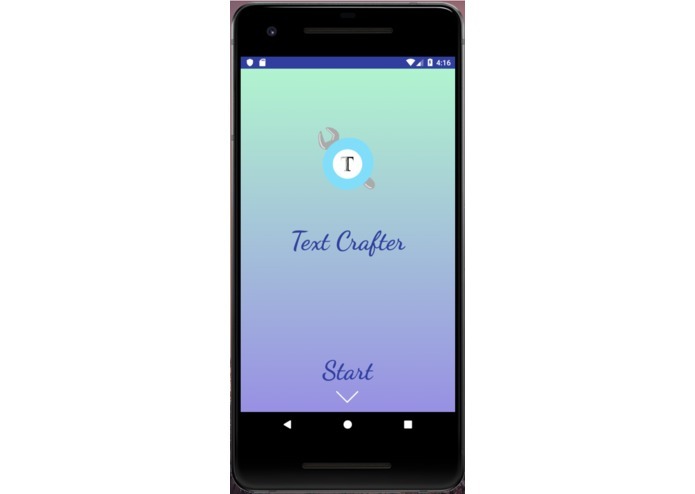 We would like to give the TextCrafter user more options to personalize his/her responses, such as by specifying relationship and context (professional, friendly, stranger, etc.). We would also like to implement additional keyword comprehension features to make more creative responses that are more appropriate for each situation. Coming soon(? ): Email Crafter!